Smartcomm and its subsidiary filed for Chapter 7 bankruptcy. The FCC is seeking comments on proposed rule changes. Find white papers, e-books and webinars in the Resource Center. SuperGUIDE will help you source nearly 800 wireless equipment and service suppliers by category and type. You are receiving this email because you subscribed to MissionCritical Communications. 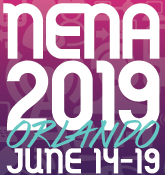 By requesting a subscription and filling out the subscription form you agreed to be contacted via email, postal mail or other methods, regarding your magazine subscription or related editorial content and industry news. We will never share your information without your explicit permission, you can cancel your subscription and update your preferences at any time, and we will honor your wishes to remove your data from our systems. 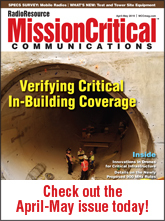 Click here to unsubscribe from MissionCritical Communications magazine. Copyright 2019, Pandata Corp. All rights reserved.